Arrival Lucknow Airport Or Train Station Pickup, Drive To Nepal Gunj 4 O 5 Hrs Drive, Transfer To Hotel Siddhartha Or Similar. Briefing At Diner, Meal Plain. Early Morning Flight To Simikot (45Minute) Rest For Acclimatize For High Altitude At Simikot Afternoon Walk Around Hill Side Meal Plan. Morning Drive 78 Km. 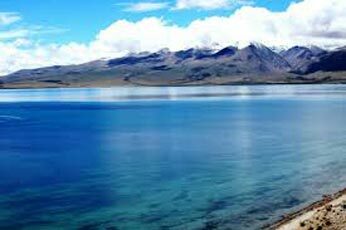 To Holy Lake Manasarovar (4500 M) & Rest Of Day Perform Free For Spiritual Activities Such As The Abode Of God Will Be A Lifetime - Achievement. Pooja, Havana Worship, Meditation, Holy Bath Etc. 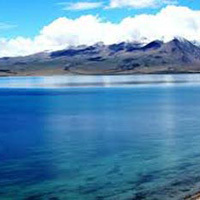 Overnight Stay Lodge At The Shore Of Lake Manasarovar. Meal Plain. Manasarovar To Darchen 30Km. (4560 M):- After Breakfast Drive An Hour Darchen The Base Camp Of Holy, Mt. Kailash. Rest Of Day Free For Acclimatization & Preparing For Cora/Parikarma.Over Night At New Guest House. Early Morning Drive To Nepal Border, As Soon As Possible Fly Helicopter To Simikot & Then Same Day Connect Flight Back To Nepal Gunj Overnight Hotel. Meal Plain. Departure Transfer To Lakhanau. Meal Plain.